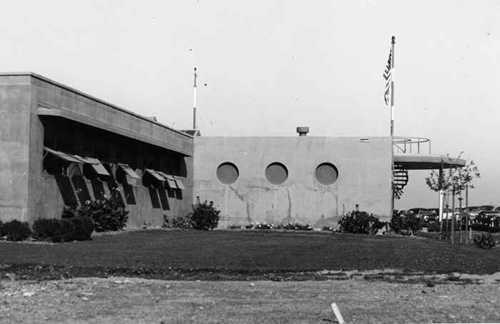 The Coast Guard Air Station, San Francisco, had only been operational for 10 months when Pearl Harbor was bombed, throwing the U.S. into World War II. Just a month prior to that "infamous" day, the Coast Guard had been transferred to the U.S. Navy by Executive Order. By April of 1942, the station had been assigned to the operational command of Commander, Western Sea Frontier, U.S. Navy, with the aircraft and station considered a squadron under the direct command of Commander - Air Task Group of the Frontier - for all operations. 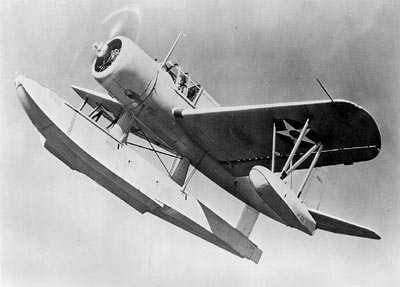 Flight operations from the air station consisted mainly of anti-submarine patrols and search and rescue missions using a mix of aircraft that included Hall PH-3, Douglas RD-4, Consolidated PBY-5, some Grumman J4F-1s, and six Vought OS2U-2 Kingfishers from the Navy. 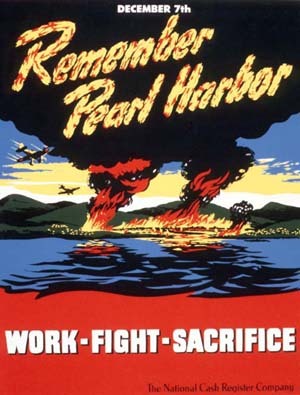 By 1943, seeing Navy personnel working along side Coasties was a common sight at the air station. So on May 9th 1943, when Coast Guard Radioman Henry Kind climbed aboard Navy OS2U-2 Kingfisher No. 2270 along with Navy pilot LTjg Dale C. Burroughs, it was just another routine anti-submarine patrol along the California coast. However, this patrol was to end very differently. "We left that afternoon on a coastal patrol carrying two 100 pound bombs," said Kind. 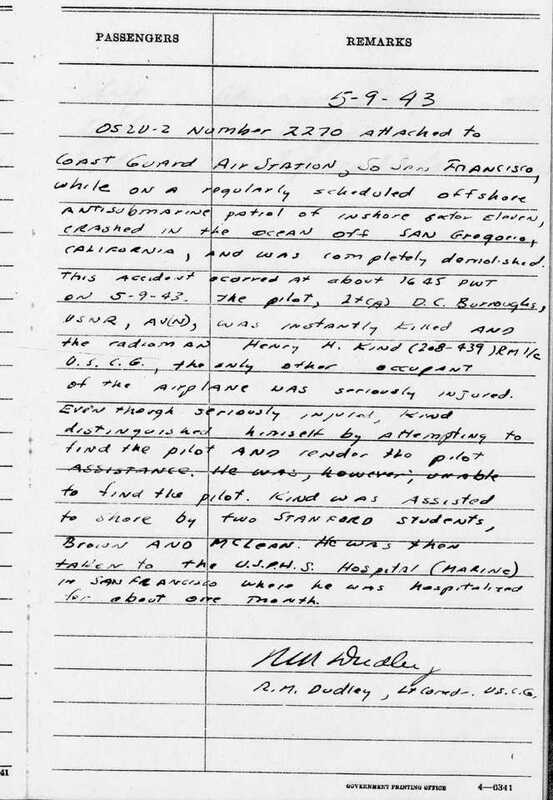 Kind had flown a similar patrol just the day before and had flown with LTjg Burroughs a number of times over the previous months. The patrol that day was uneventful and, after four hours in the air, Burroughs and Kind were just minutes from landing back at Coast Guard Air Station San Francisco when the Kingfisher approached San Gregorio Beach, on the coast about 30 miles south of the air station. Kind remembers what happened next very well. "LTjg Burroughs called back to me and asked if I had my seat belt fastened," said Kind. "LTjg Burroughs said his wasn’t, but he knew what he was about to do and I didn’t. He then put the plane into a dive then climbed to the left toward the ocean. The plane started to feel like someone was shaking it." The next thing Kind knew was he was underwater. "I fought my way to the surface," said Kind. "My seat had been completely ripped from the plane and there was a hole in the side of the plane. That seat breaking loose the way it did probably saved my life." 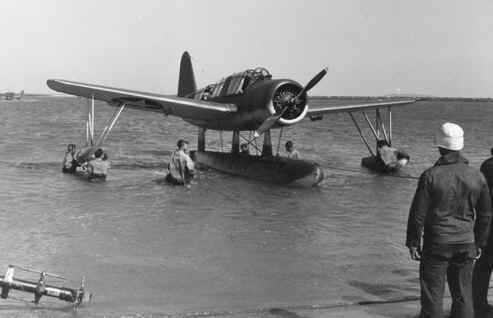 Unbeknownst to Kind, LTjg Burroughs had put the Kingfisher into a whip stall, a maneuver that is difficult to recover from at high altitude even for an experienced pilot, and one that at low altitude is often deadly. In this case, 22-year-old LTjg Burroughs, had paid the ultimate price for his stunt. "I never saw the pilot after the crash," Kind said. "I tried diving for him but I was wearing an inflated ‘Mae West’ life vest and both my legs were injured." While Kind may have survived the crash, he wasn’t safe yet. He was badly injured, floating in the chilly waters of the Northern California Coast and nearly a quarter mile from shore. Meanwhile, on the beach a group of students from Stanford University had witnessed the accident. "It was Sunday, and a bunch of us Stanford kids were out at the beach," said Robert W. Brown. "We saw this plane come down the beach, flying very low. At the north end of the beach there’s this promontory that sticks out. The plane came up to it and climbed up while banking. 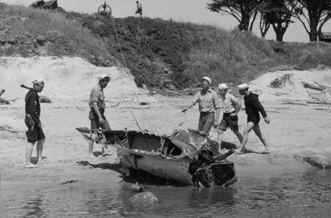 It then lost air speed and crashed into the water three or four hundred yards off the beach." "I had done a lot of ocean swimming off the Atlantic coast so swimming in the ocean didn’t bother me," said Brown. "But the water was very cold and I didn’t want to swim out by myself." Brown, who played shortstop for the varsity baseball team, asked another student, Robert McClean, to swim out with him. 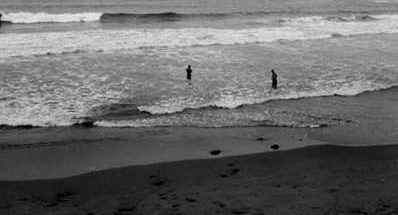 Brown and McClean entered the water and made their way through the rough surf. "It took us quite a while to get out through the surf and to the plane," said Brown. "We could see the one person floating in the water. He wasn’t moving so we knew he needed help. Once we got to him we towed him back in. It took us about 45 minute to an hour. We never did see any sign of the pilot." Soon another Navy plane was on the scene and dropped a rubber raft near the remnants of the Kingfisher. Later, additional Coast Guard personnel from San Francisco arrived on scene with a surfboat. Three of these Coasties suffered minor cuts and bruises when their boat overturned in the surf in their first attempt to reach the plane. Once Kind was on the beach, he was taken by Army ambulance to a nearby Army aid station. From there he was taken to the Public Health Service Hospital in San Francisco. "I was in the hospital for a month," Kind said. "My left thumb was badly fractured. Both legs were badly sprained and I had lots of cuts and bruises all over. I also lost all feeling in my left leg. It was all numb from the knee down. They had me wrapped up like a mummy." 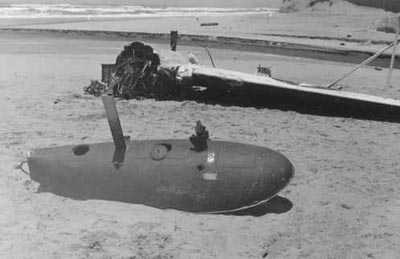 The next day, most of the wreckage of the Kingfisher had washed up on San Gregorio Beach. Crews tried to salvage as much of the wreckage as possible and also worked to recover the two bombs that the plane had been carrying. 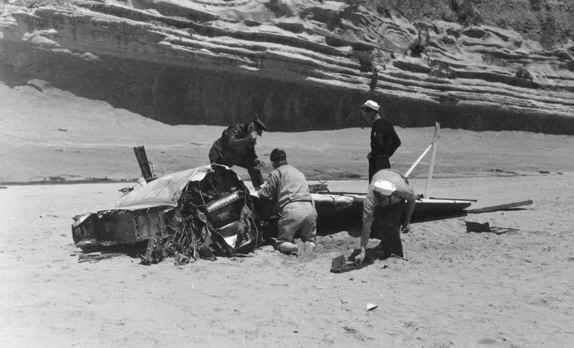 The body of LTjg Burroughs washed up on a beach nearby several days later. After his month in the hospital, Kind spent another month as an out patient. But by July 1943, Kind was back at the Coast Guard Air Station flying again. 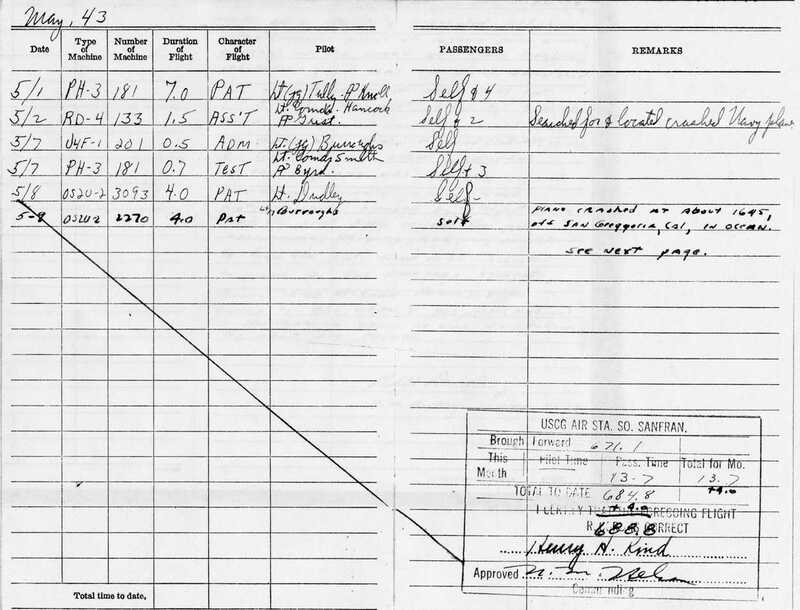 Click here to view pages from his log book that deal with the crash. Kind eventually left the Coast Guard and joined the San Francisco Police Department. He is now retired and living in Utah. 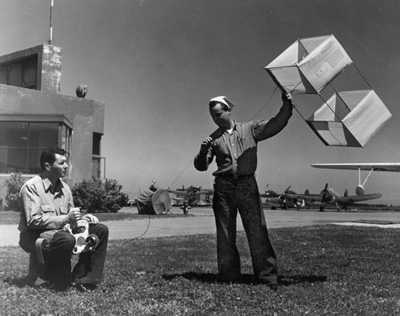 Radioman Henry Kind on the left testing an emergency transmitter. Coast Guard Silver Lifesaving Medal As for Brown, he finished up his studies at Stanford and enlisted in the Navy, being called to duty in July 1943. A year had passed and while waiting to go to medical school he was assigned to a local Naval Hospital as a corpsman. "One day the Captain called me in and presented me with a medal," he said. "I heard him say ‘lifesaving medal’ so at first I thought is was a Carnegie Lifesaving Medal. It was only later that I found out that it was a Coast Guard Silver Lifesaving Medal." "I never saw Bob McClean again after that day," said Brown. "I’m not sure what happened to him but I guess he also got a medal." Brown eventually made it to the Tulane University School of Medicine where he graduated as an M.D. in 1950. Over the next 50 years, Brown had a full life to say the least. As a pro baseball player, fans packed the stadiums and cheered for him during four World Series championships as he stepped to the plate for the New York Yankees. He also saw the frontlines during the Korean War where he served as a doctor with the U.S. Army. Then for 25 years, Brown dedicated his life to the practice of cardiology in Fort Worth, Texas before leaving for New York to be president of the American Baseball League. Today, Brown has returned to Fort Worth where he enjoys retirement with his wife Sara. San Gregorio Beach is now a State Beach. With a driftwood-strewn estuary, wide sandy beach and grassy bluffs along the coast, it is still a favorite place for many to spend a day. As people walk along the sand there is no evidence of the events on that spring day 60 years ago when, for just a moment, an error in judgment cost the life of one man, and nearly the life of another.